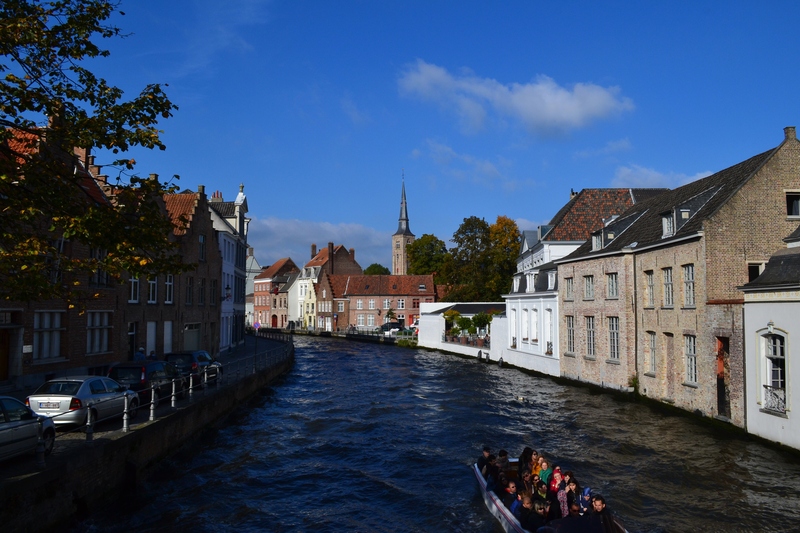 Bruges, Belgium—a city synonymous with chocolate and beer. No surprise, then, that it makes my short list of favorite places on the planet. . . a place that I only discovered last week. 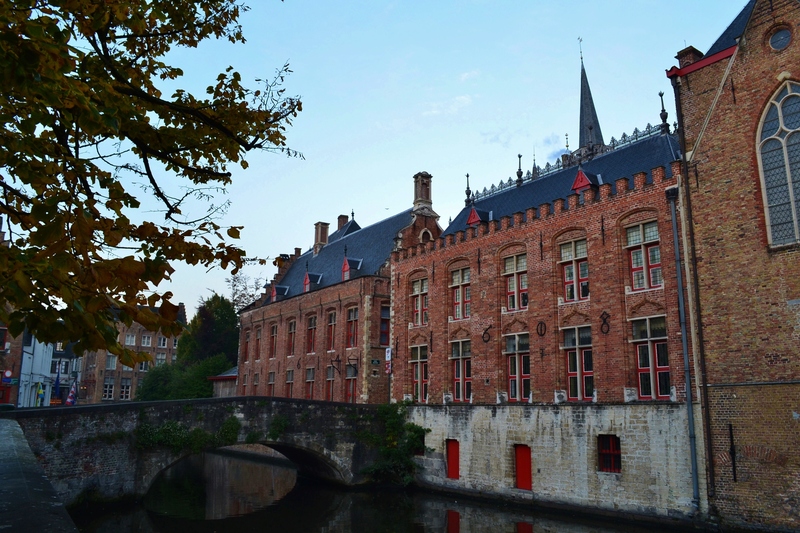 Bruges is perched in the northwest corner of Belgium, and much of its character has been shaped by its canals and the fact that it has long been a port city and center of trade. (The port of Bruges is Zeebrugge—“the Bruges Sea” I suppose.) 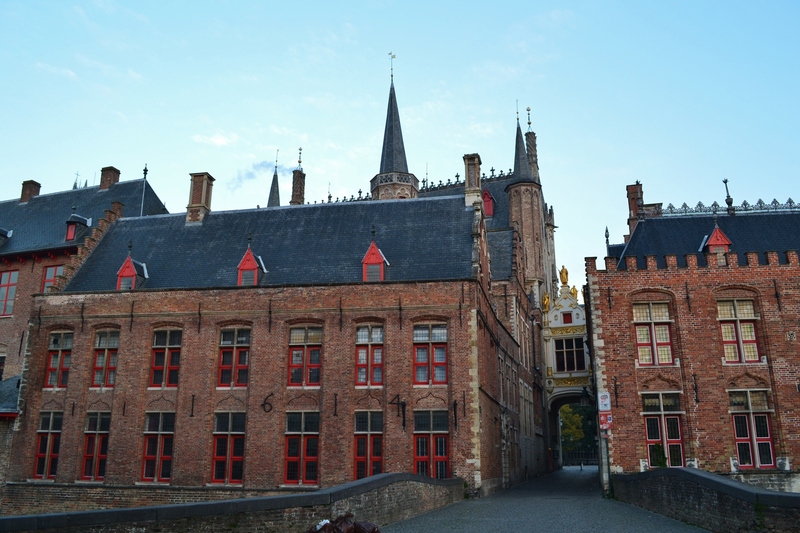 The wealth that trade brought to Bruges is clear in the lavish Flemish medieval-style architecture that is everywhere on display. We drove into the city relying on our GPS to guide us, which it did: straight through the heart of town and market square and down some streets that might not have even been open to cars—but still, we drove through. The sea of people parted for us, and we cruised through the heart of town at approximately 3 miles an hour. Probably not the most appropriate route to take us to our hotel, but it gave us the opportunity to see what was around us in the Old Town. 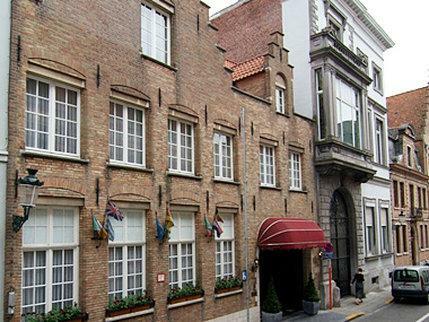 We stayed at Anselmus Hotel—a small hotel that is located in the heart of Bruges. 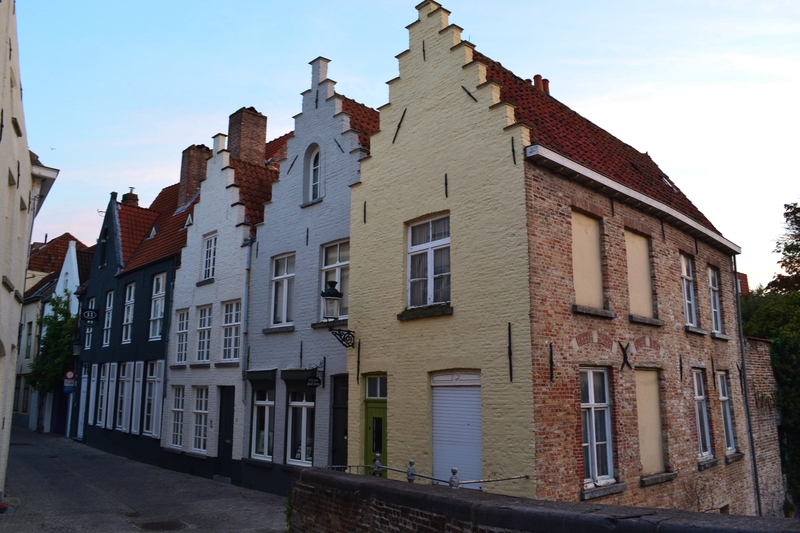 It dates back to the 17th century and was the home of the scientist Anselmus Boetius De Bood. It was quaint and comfortable, and the owners were lovely people. Our room was a couple of flights up—a large space that could fit our whole family—the ceiling was crisscrossed by exposed beams and the stairs up to the room were astonishingly narrow. Outrageously narrow. (Not in width of the staircase, but each step was only about 3 inches deep, requiring a funny side step or tiptoe technique to navigate.) Anselmus must have kept magical medieval elves as his servants and housed them in this attic, because no human foot could fit on these stairs. If this had been the Holiday Inn, I’d call these stairs treacherous. But it wasn’t. 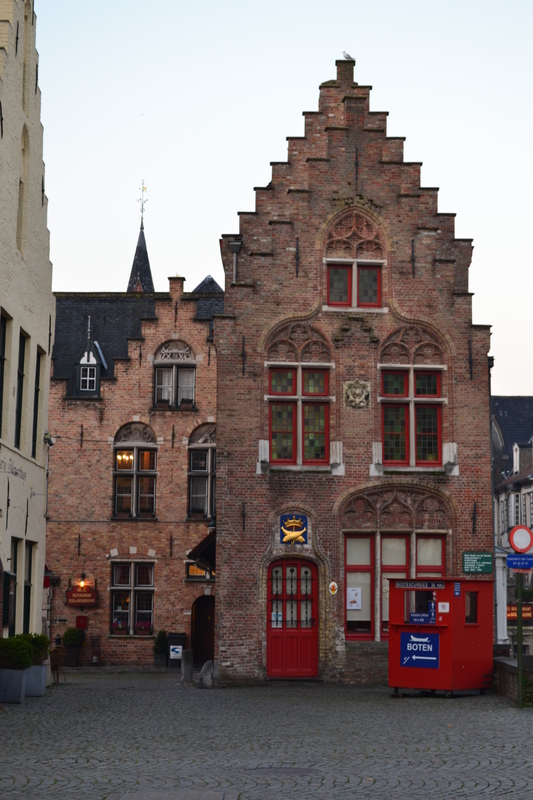 It was Anselmus Hotel in the Old Town of Bruges, which somehow changes things. This staircase was charming. Or maybe it was a sobriety test, a reminder that this was a respectable hotel—can’t stay here unless you have your wits about you. At least, can’t make it all the way to your room unless you have your wits about you. And so we ventured out into the town, resolving to keep our wits about us. At first, that was easy. We wandered the town and soaked up the general atmosphere. We watched the boats of tourists navigate the canals, we “oooohed and ahhhhhed” at the architecture, and we jumped out of the way of horses and carriages and also the vintage cars that were holding a rally through the old town that Saturday. So far, Bruges was beautiful and my wits were intact. But that was all about to change. I had unshakable confidence in my ability to tipple Belgian beer in small quantities. 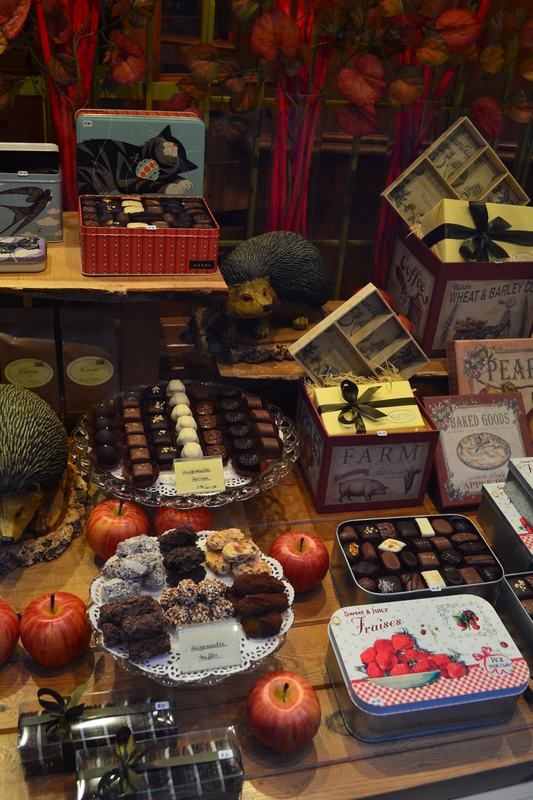 My ability to show restraint at chocolate shops, however, was about to be strained. More on that, and some recommendations of sights to see and places to eat, in Part Two– stay tuned. 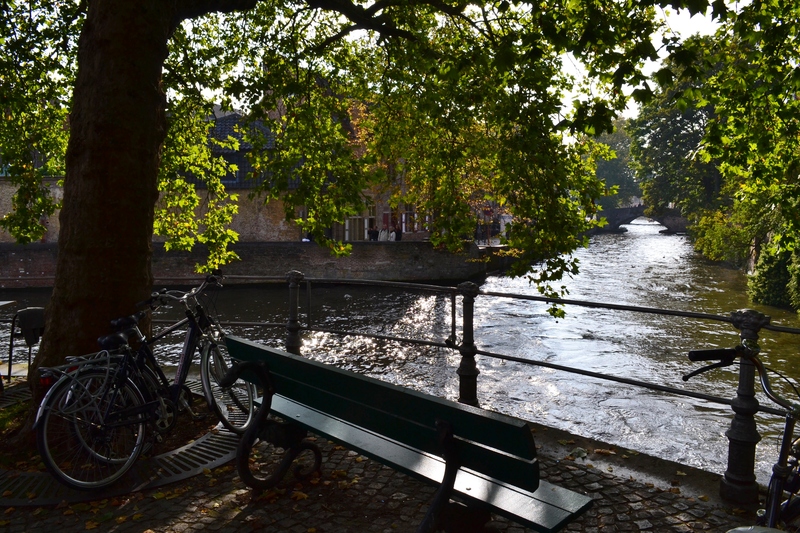 Bruges was a last minute addition to my trip last year, but I am so glad I visited – it is such a stunning city, and the perfect place to just wander! Did you make it up the Belfry Tower while you were there? We went there, but there was a long line, so we moved on. I hear it’s a fabulous view! 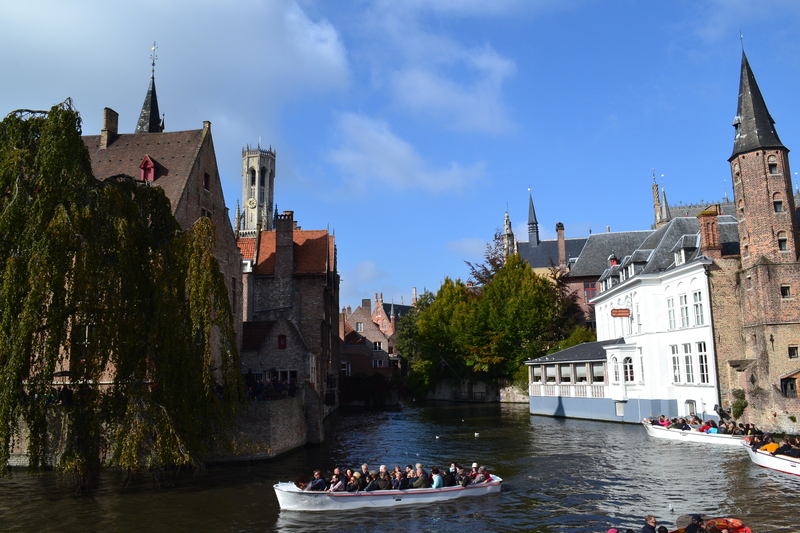 We do the meandering thing pretty well too, like you say Bruges is perfect for that. Our accommodation was a lovely old house but the exact same experience with the stairs, feet turned sideways to go up and down and even then they still didn’t fit!!! The quirks of really old buildings always amuse me. In Rouen, France, we stayed in a 16th C hotel near the cathedral, and our room was great, but the floor slanted so much from one side of the room to the other, that it felt a little like you were on a ship on a stormy sea! But it’s always a fun memory, right?! My wife and loved Bruges and it is a place we could return to time after time. Such wonderful food, and chocolate. Did you try and visit the “Zot” beer brewery? I had a pint and we had roast beef that was simmered all day in it and was a delicious,tender fall apart meat dish. Yum! Didn’t make it to Zot, but loved “die Halve Mann” brewery and bistro, and had the same sort of experience with their steak and Flemish Stew. Like you, I’d be happy to return to Bruges often! Thank you for the post, can’t wait for 2! I loved this…”and down some streets that might not have even been open to cars—but still, we drove through”, we’ve done this as well! Post 2 will come soon–I’m whiny with the flu this week, but as I come out of it, I’ll post again. Thanks! What a beautiful looking city – treacherous staircases notwithstanding! Incredible city–well worth a visit! 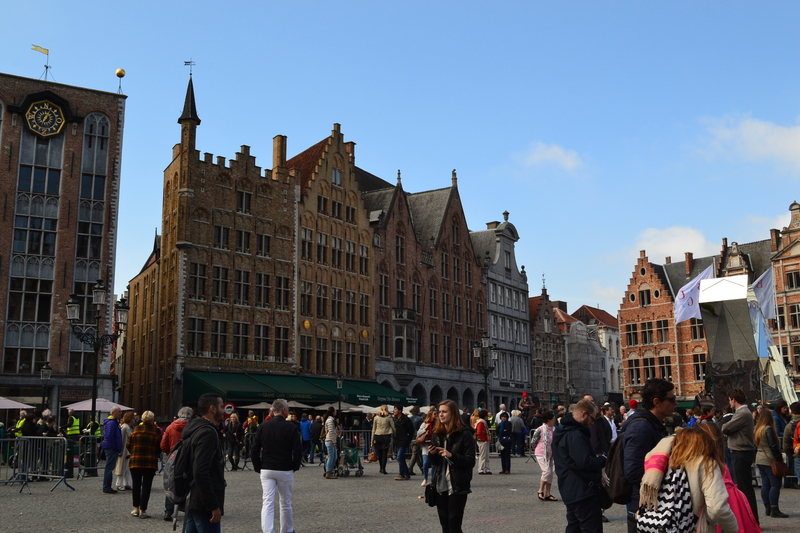 I loved Bruges when I visited it! Great photos! Thanks so much. We fell in love with the city too. Just as you should! Yum and yum. Fine photos! I first got to know Bruges aka Brugge through the novel and opera The Dead City (the opera first actually) and later through another novel, L’Oeuvre au Noir by Marguerite Yourcenar, which I fully intend to read again sometime. 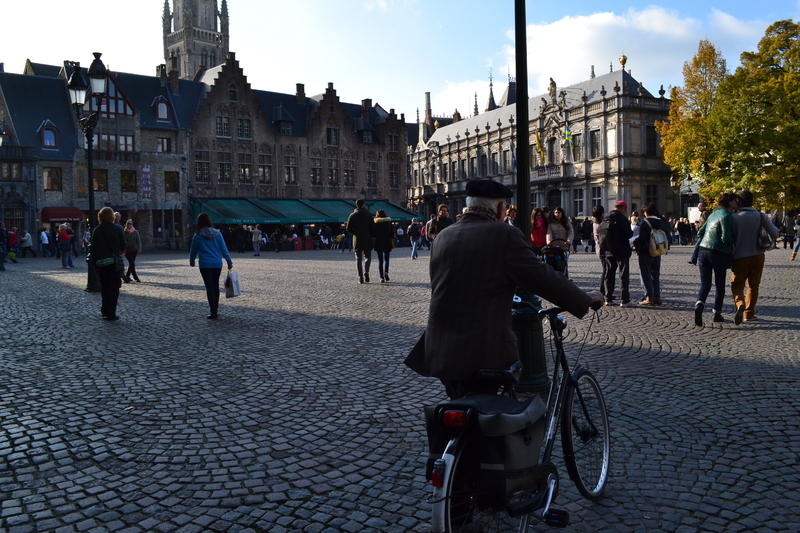 Perhaps I’ll visit Bruges again and take the book with me. It is a fantastic city– hope to go back some day.